The hole in the ozone layer over Antarctica has reached record-breaking levels, and currently covers an area four times the size of Australia, UN scientists have said. In addition to the global threat to humanity, it poses another, quite real risk to Australia: extra UV radiation and sunburn on the continent where over 45,000 people are expected to die from skin cancer in 2015. This year, the hole reached 28.2 million square kilometers: four times the size of Australia or the size of Russia and Canada combined. Researchers confirmed that the hole measured on October 2 is one of the biggest known to date. “This year it is certainly quite large and for this time of year it is one of the largest on record,” Paul Krummel, of the Commonwealth Scientific and Industrial Research Organisation (CSIRO)’s, said. In 2015, the stratosphere has seen colder than usual temperatures. "What really determines the size of the ozone hole each year is really the meteorological conditions and this year it is extremely cold over the Antarctic and by this time of year normally warm air is starting to egress into that area and this hasn't happened yet," he said. The hole in fact fluctuates greatly when it emerges every year, according to researchers. "Each springtime over the last now nearly 35 years, there's been a depletion of stratospheric ozone over Antarctica primarily due to two really important factors," he said, adding, "It's the increase in ozone-depleting chemicals in the atmosphere and very special cold conditions that occur in winter and spring over Antarctica which provide a special catalytic ozone destruction vessel that allows the ozone to be rapidly deployed by the higher concentrations of chlorofluorocarbons — ozone-depleting chemicals that have occurred in the stratosphere due to human activity." CSIRO’s Krummel also noted that there should be no long-term concern. However, there are risks for Australians. 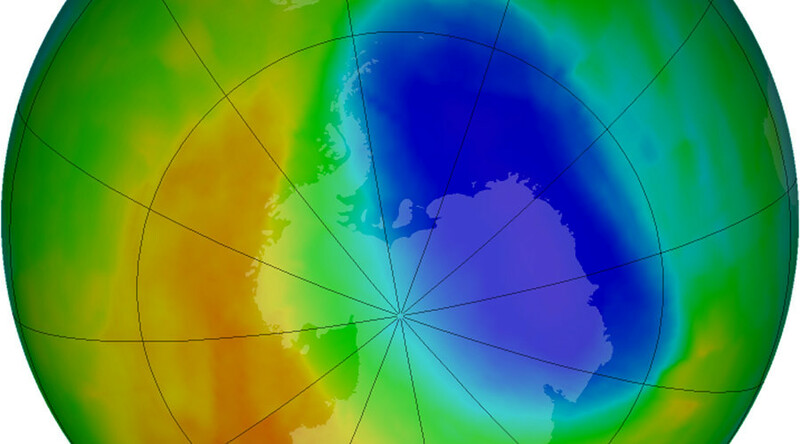 "Once the ozone hole does start to break up, air that's depleted in ozone may be transported over to the southern parts of Australia which can, of course, during those periods increase the amount of UV radiation," Krummel said. "So there could be a tendency for a bit more sunburn. I would say mostly the southern states is where it is likely to impact,” he added.